It’s pouring outside, and we’re supposed to have softball practice tonight. The groundswell rising from the ranks insists that practice should be moved inside or cancelled. What?! There’s no lightning. There’s no hint of a funnel cloud. I don’t see danger on the horizon, just discomfort covered by a low, leaking gray ceiling. Let the record show that I packed my gear this morning knowing it was raining, expecting more rain, and not caring. All right, all right, it’s just practice–not even a game. It’s not even for some kind of die-hard league, either. We’re just a bunch of would-be warriors trash talking another department in our company, trying to field a team from straggling (not struggling) artists. I guess it’s not that important, right? Maybe this game, this practice even, doesn’t mean much in the grand scheme of things, but here’s how I see it. Practicing in the rain and mud will make us stronger. We’ll have the advantage of getting comfortable with inclement weather and knowing how to compensate for it. (Hey, that kind of reminds me of Peyton Manning’s wet ball drills preparing for Super Bowl XLI in 2007. Worked for him, as much as Jeff Saturday hated doing it.) If the weather turns nice for the actual game, think how much better we’ll play on solid ground. Prepare for the worst; hope for the best. 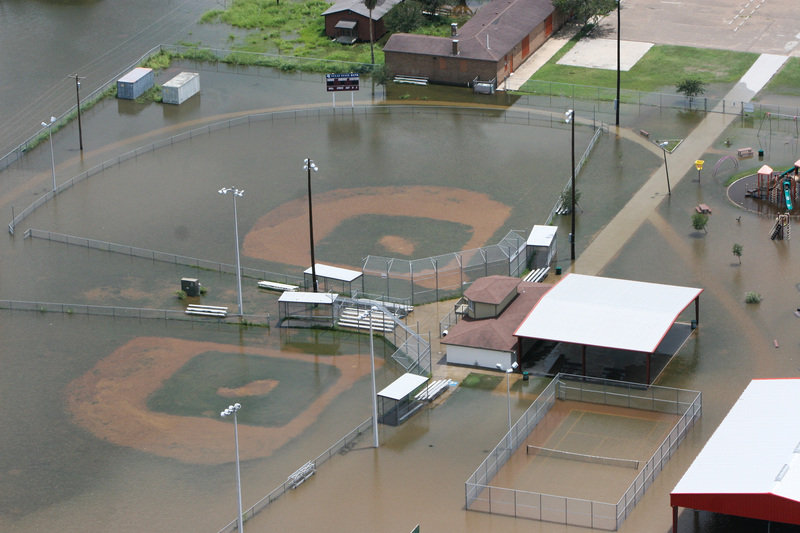 Our upcoming softball game is real, but it also makes a great metaphor. If you really want to be good at something, practice in the rain. You won’t melt. Everyone comes to me telling me how they want me to teach them martial arts and how they’re going to get really good at it and then they miss class for any and every reason possible. Or parents want their kids to learn self-discipline but don’t bring them half the time. Showing up IS the training. That’s HOW to develop the requisite discipline. Even when people have injuries they think they don’t need to come. Why not show up and observe? Take notes? Look at what others do that works and what doesn’t. To me, not showing up to softball, martial arts, whatever you’be committed to just shows you aren’t a person who takes their commitments seriously. Yes, that’s exactly the point; the softball part was really just the backdrop for it. It’s just a little water. Isn’t our company in the water business? Therefore, if you are in the water business how can you be afaid of a little water? Just something to ponder……..